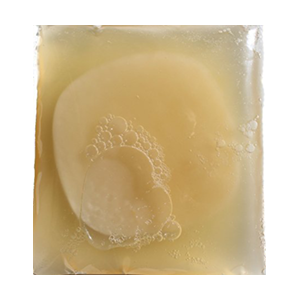 Kombucha drink is a fermented tea made with a sugar source, caffeinated tea and a scoby kombucha culture, a gelatinous firm jelly-like structure made up of various yeasts and bacteria. The final ferment produces a tangy slightly sweet beverage with varying degrees of fizziness depending on the length of fermentation and techniques employed. 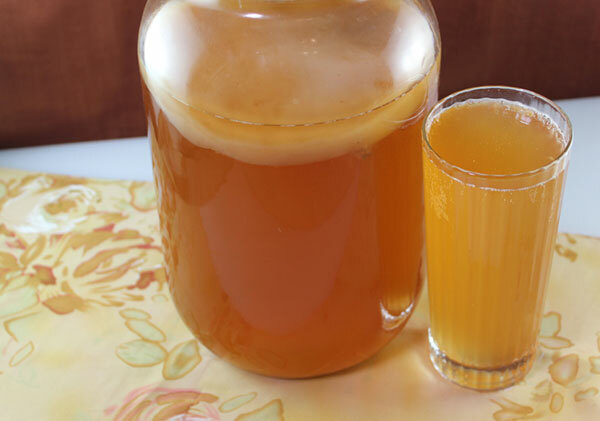 Home-brewing kombucha was very popular in the mid 1990's when scoby cultures were shared and circulated within small health-conscious communities. 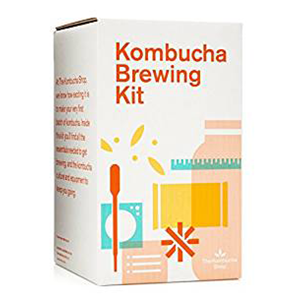 Today there are dozens of commercial manufacturers selling unpasteurized raw kombucha in many different types of flavors utilizing a variety of superfood ingredients. While kombucha is known to contain many health-enhancing substances, it is not however necessarily beneficial for all people. 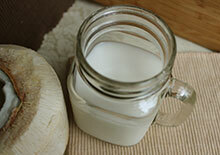 Here on this page we will discuss the pros and the cons of this now widely popular fermented beverage. Mature kombucha drink contains the detoxifying substance known as glucuronic acid. 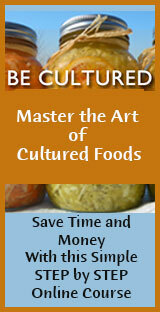 Glucuronic acid is a "uronic acid" that is naturally produced by the liver. One of its primary functions is to bind with toxins, like plastics, pesticides and heavy metals, and excrete them from the body. 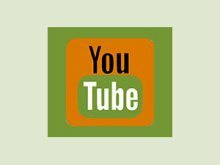 This attachment to various toxins, referred to as glucuronidation, essentially makes these compounds more water-soluble and thus easier to remove through the urine or via the stool. In a 2015 review entitled Health, Wellness, and Safety Aspects of the Consumption of Kombucha published in the Journal of Chemistry, it was proposed that the consumption of kombucha tea may be helpful for reducing "the detoxification load pressured on the liver" as well as "excrete heavy metal substances and environmental pollutants from the human body through the kidneys." Other research on glucuronic acid concludes that "kombucha beverages, containing GlcUA [glucuronic acid] are recommendable for detoxification and elimination of xenobiotics, support of fat soluble endobiotics' normal metabolism and prevention of NCDs [non-communicable diseases]." Along with glucuronic acid, acetic acid is another main component in kombucha drink responsible for its detoxification properties, and is typically present in a 3:1 ratio. 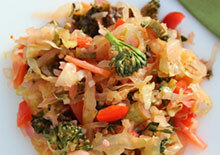 All raw unpasteurized kombucha contains a significant amount of digestive enzymes as well as probiotic microbes. 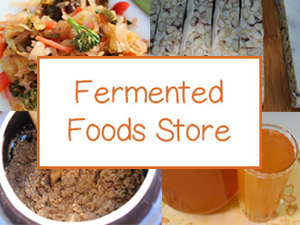 As a fermented food, it is naturally full of live active enzymes that can help to assist in the breakdown of the foods we eat as well as the potential undigested waste material trapped in the colon. 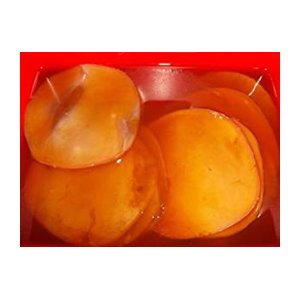 High quality products and homemade kombucha created in a clean environment using a quality scoby culture will ultimately contain good amounts of Lactobacillus and other lactic acid-forming bacteria. Saccharomyces boulardii is also one specific type of yeast strain that is often identified in the fermented liquid. 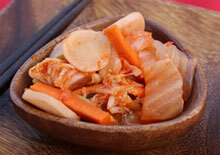 It is frequently used, like the Lactobacillus species, as a probiotic supplement. These beneficial microbes help to provide a nice cocktail of microflora for maintaining healthy gut bacteria. 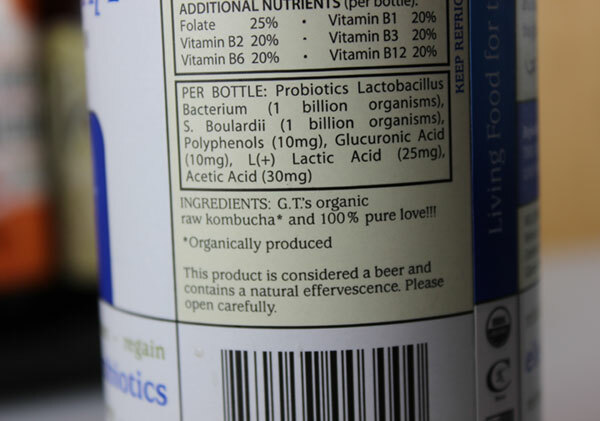 When purchasing commercial kombucha products, most quality organic brands have the Lactobacillus species listed as a label ingredient. 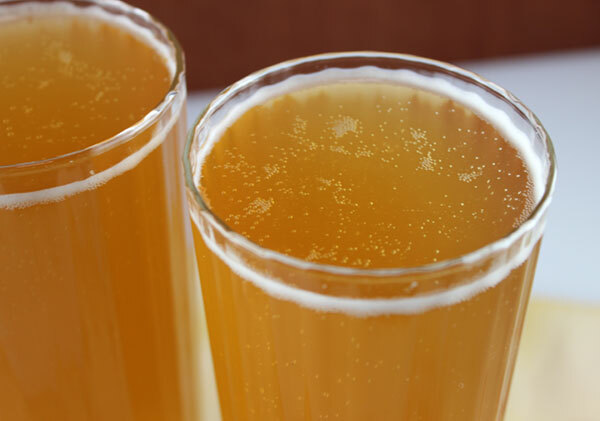 Kombucha drink, with its tangy yet slightly sweet flavor makes a much improved alternative over highly sweetened and caffeinated soft drinks as well as alcoholic beverages. Because of its sour and fizzy quality, it is often referred to as the "champagne" of fermented drinks. It is much lower in sugar and calorie content compared to soda's or wine and is, most importantly, a non-addictive option and health-enhancing substitute. 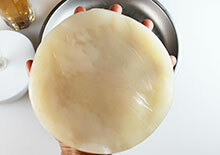 Depending on how long kombucha is fermented, it can have a trace amount of alcohol, usually between 0.5-1%. 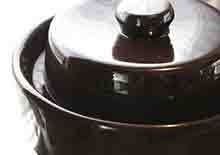 This is because the yeasts in the tea feed on sugar and produce alcohol as a byproduct. By comparison, an average light weight beer usually contains between 4-5% by volume. 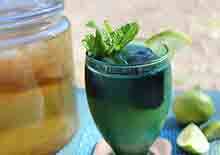 Homemade kombucha, using traditional methods, can tend to be slightly higher, up to 3%, compared to purchased drinks. Essentially, the longer it ferments over 6 days the less alcohol content it will have. 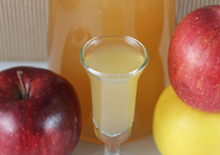 When secondary fermentation techniques are employed alcohol content can get much higher. Commercial manufacturers are now required to sell their products as an alcoholic beverage if it contains 0.5% alcohol or higher. Some companies, like GT's Kombucha, offer both non-alcohol (below the legal limit) and "classic" versions (0.5% alcohol) to satisfy the range of consumer tastes and preferences. Although kombucha is often claimed to be an immune boosting super drink because of its antimicrobial and antioxidative attributes, it can have the opposite effect for certain individuals. 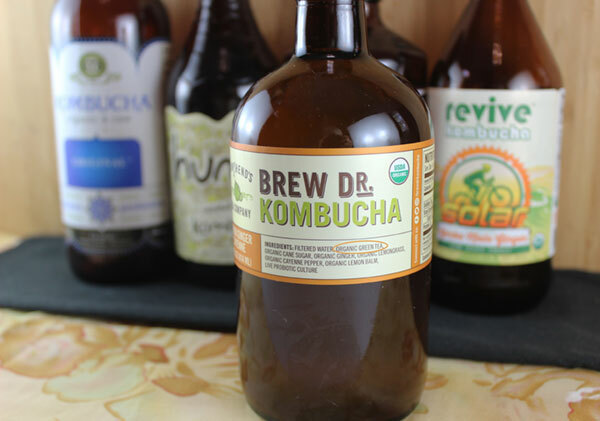 Those with weakened immune functions and pre-existing autoimmune conditions, like candida overgrowth or inflammatory bowel disease, may be less able to tolerate kombucha drinks. 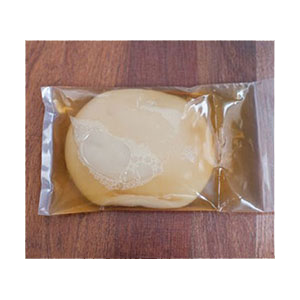 Because kombucha is created from a combination of yeast and bacteria, sometimes the yeasts present in the final brew can exacerbate these aforementioned mentioned health issues. 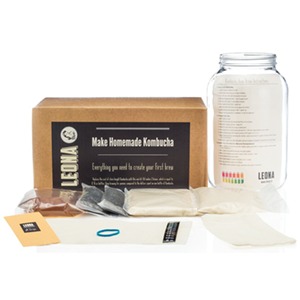 In addition, home-brewed kombucha is considered a "wild fermentation" as the culture needs some airflow to ferment correctly. This means that when it is prepared under non-sterile conditions or in unclean environments, it can have a tendency to pick up non-beneficial airborne species like candida. (*) This is most likely not the case for commercial kombucha, which is highly regulated. Kombucha is generally considered an alkaline-forming beverage, much like apple cider vinegar or sauerkraut, once digested. Nevertheless, it does have a high acid level when first consumed which can adversely affect those with digestive disorders like metabolic acidosis, IBS or leaky gut. For those with mild sensitivity to the initial acidity, kombucha drinks can be made less acidic by cutting them half and half with water. Overall, for those with compromised immune or digestive issues, it is best to wait until problems resolve before pursuing this cultured drinks various health attributes. Many kombucha manufacturers, like GT's Kombucha, are now also offering a coconut kefir line of products, which can be a better substitute under such circumstances. 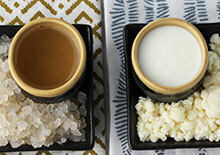 Likewise, homemade kefir is also an option and a much healthier alternative to those recovering from a candida infection. Black tea and cane sugar are the two most popular ingredients used by commercial drink producers when making the initial kombucha liquid. 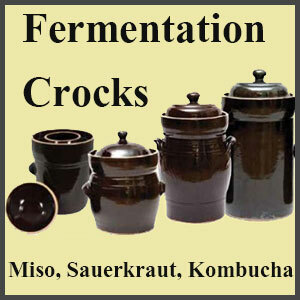 These substances act as substrates that "feed" the culture and assist in the process of fermentation. 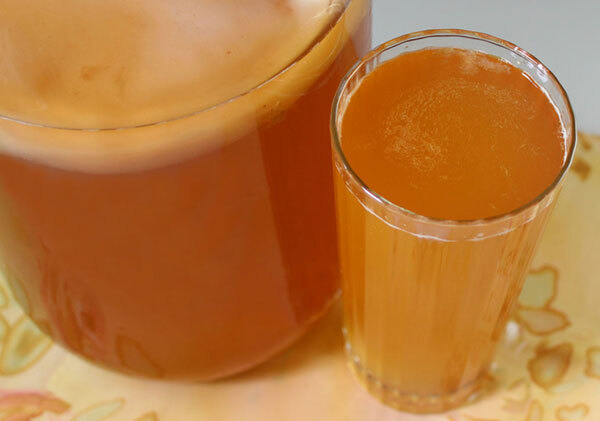 Although the infused caffeinated tea and sugar are consumed to a large degree by the scoby, there are smaller amounts of caffeine and sugar remaining in the final ferment. Some believe that it can be close to 1/2 the amount of caffeine, but this largely depends on length of fermentation. 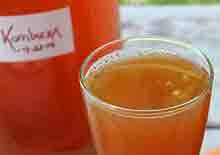 Mature kombucha is considered to have about 1/3 the amount of caffeine it was made with. As far as the sugar content goes, the culture feeds off of it, converting most sugar into beneficial acids, like lactic acid, which is necessary for the lacto-fermentation process. When appropriately "ripe", right before it turns to vinegar, it actually contains very little sugar content, but does contain some. Commercial kombucha drinks have varying quantities of sugar and caffeine present. This differs widely between manufacturers however. 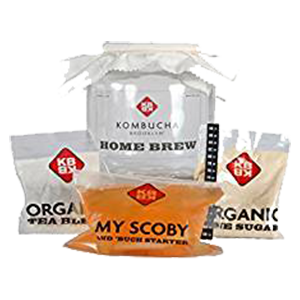 Some ingredient labels actually list the caffeine and sugars used in the initial liquid kombucha tea blend because they are in the final ferment to a lesser degree. While others, like Kevita (owned by PepsiCo), actually add caffeine in the form of "green coffee bean extract" and use additional caffeinated tea sources. Bottom line, it's important to read labels if you are concerned about either/or. Generally, if you are someone who is sensitive to caffeine or even small amounts of sugar we would recommended another type of probiotic beverage, like kefir or rejuvelac. 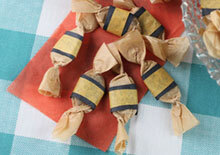 The best way to control the sugar and caffeine quantity is to make your own at home. 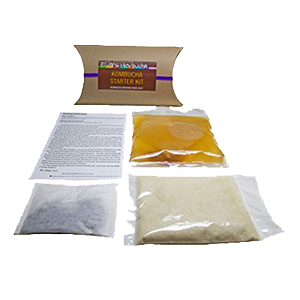 The general rule is that after you several batches of tea, using black tea and cane sugar, and develop a strong mature scoby culture, you can then experiment with other varieties of tea lower in caffeine content. Homemade kombucha can also be initially prepared using other natural sweeteners like honey or maple syrup instead of cane sugar. In addition, if you ferment your kombucha until there is very little sweetness remaining, you can add other types of low glycemic or non-glycemic sugars, like stevia, if preferred to increase taste. Individuals with sensitivities to alcohol, even in small quantities, should avoid consuming homemade varieties as well as commercial kombucha if it states alcohol content on the label. 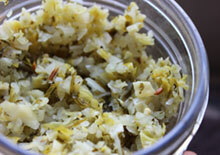 It is important to consider avoiding the use of fermented foods and drinks if you have severe allergies to molds.